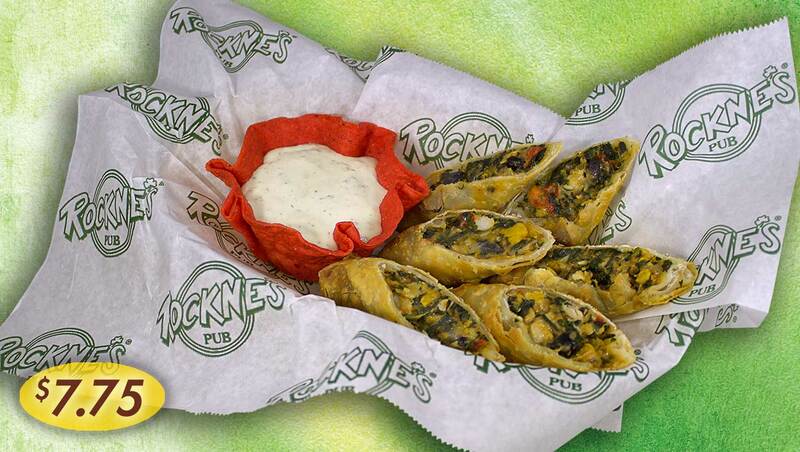 Filled with grilled chicken, a blend of southwestern veggies, corn & cheese… served with our special jalapeño ranch dipping sauce. 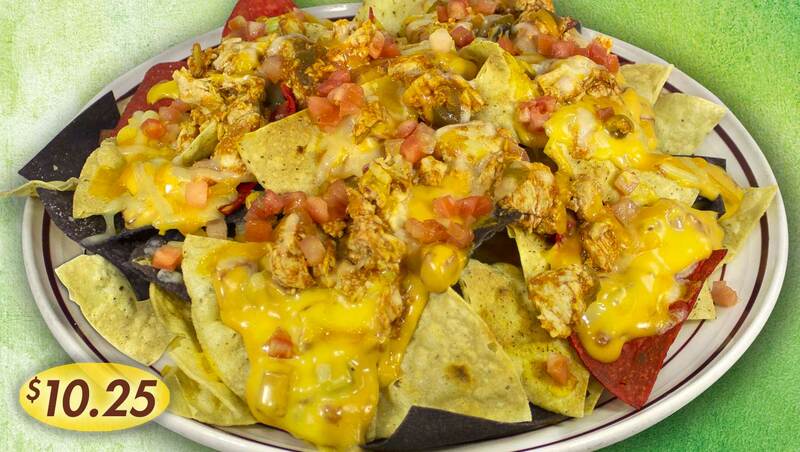 Homemade tortilla chips topped with taco beef, melted queso cheeses, refried beans, diced tomatoes, sour cream and fresh pico. 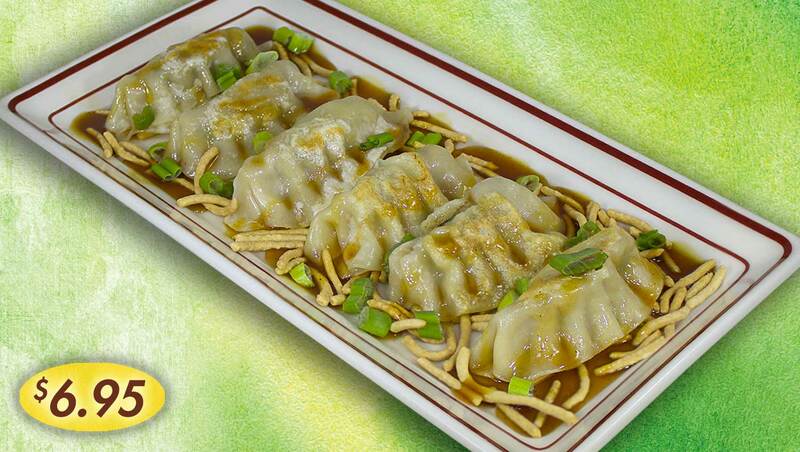 Steamed dumplings filled with chopped vegetables & pork, then pan-seared and topped with green onions and a sweet & tangy sauce. 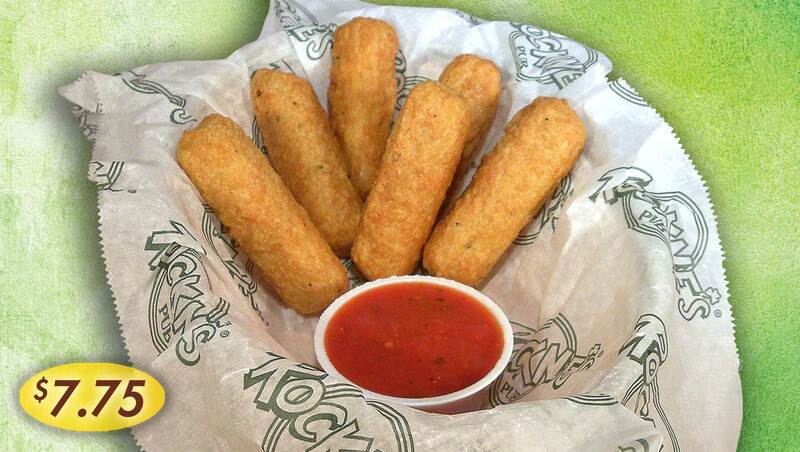 Batter dipped, then deep fried to a golden brown & served with warm Marinara dipping sauce. 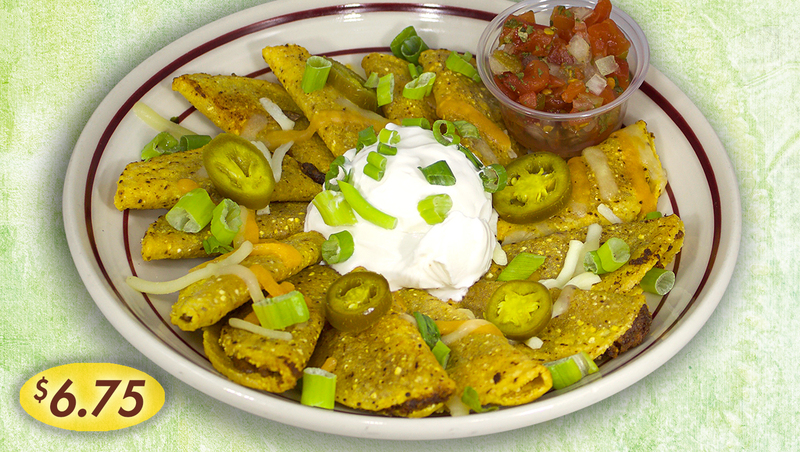 Ground beef, cheese and green chiles all wrapped in a crunchy corn taco & topped with jalapeño peppers. Served with a side of sour cream & pico de gallo. 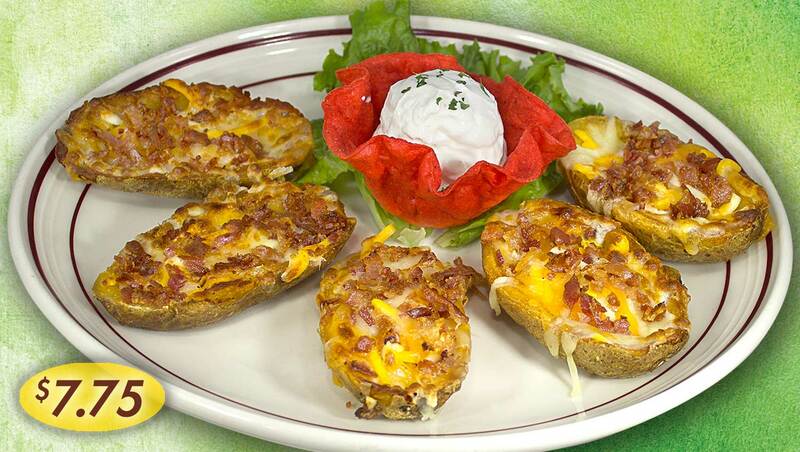 Idaho potato skins loaded with cheddar cheese & bacon bits, broiled golden brown & served with sour cream or your favorite sauce for dipping. 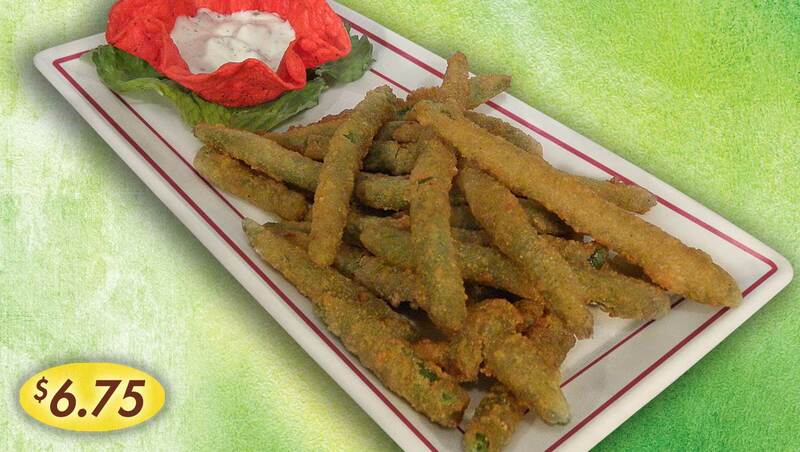 Plump green beans lightly battered and served with a jalapeño ranch dipping sauce or sauce of your choice. 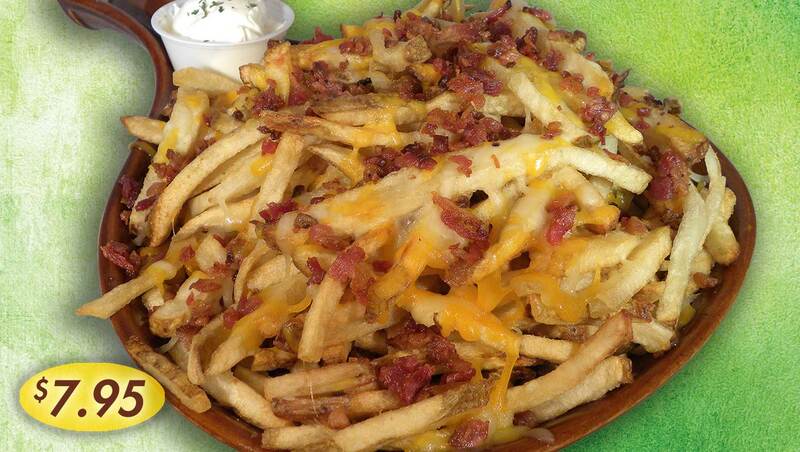 A Big skillet of our fresh cut fries loaded with melted cheddar/jack cheese & bacon bits, broiled golden brown & served with your favorite dipping sauce, ranch or sour cream. Our bite size mac n’ cheese lightly breaded, deep fried and served with your favorite sauce for dipping. 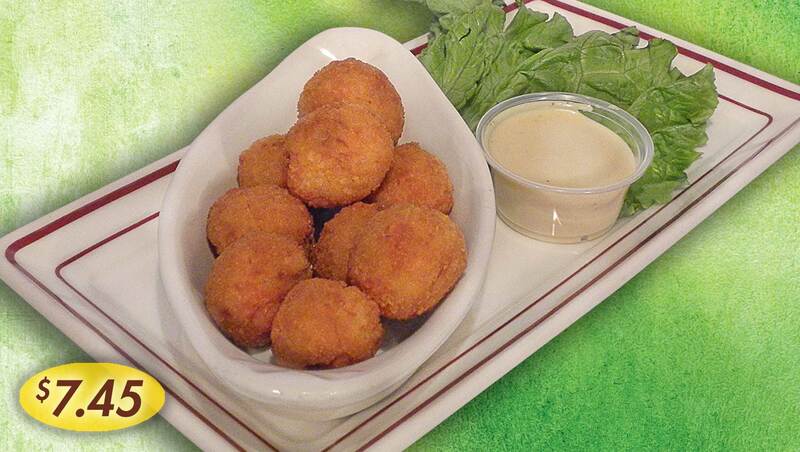 Just the best sauerkraut balls with a touch of ham, deep fried to a golden brown & loaded with flavor… served with honey mustard sauce. 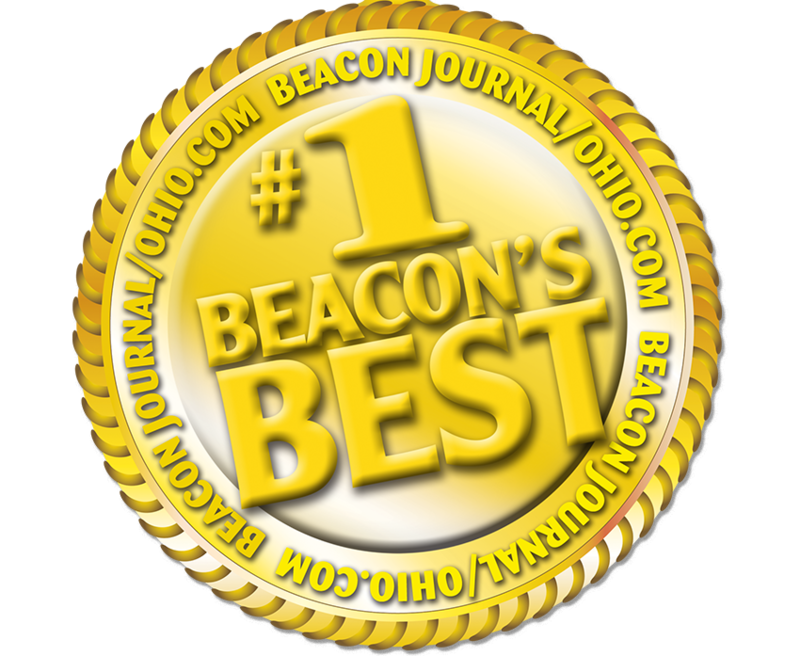 For voting us number one in Appetizers for 4 years! 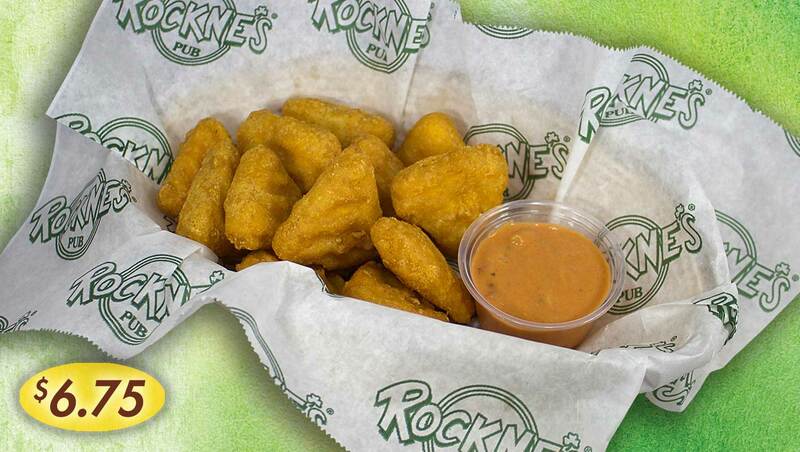 Order your favorite dipping sauce with any appetizer.